Reading again through the Dosh Dosh blog today, I see the topic of social networking (web 2.0). Knowing that this subject is becoming near and dear to my hear, and hopefully yours as well (more on this later), I’d like to highlight some key points. According to a recent study of 2 million people and 8 million phone calls over one year, researchers discovered that the cause of persistent relationships is reciprocity – returning a friend’s call. The more often you call each other, the longer your relationship. The results of this study showed that the strongest building of meaningful relationships developed from the reciprocity (returning of the calls). The value of this relationship building process can and should be utilized in the world of web 2.0 “social netwroking” and social networking should be utilized in your fitness professional life. 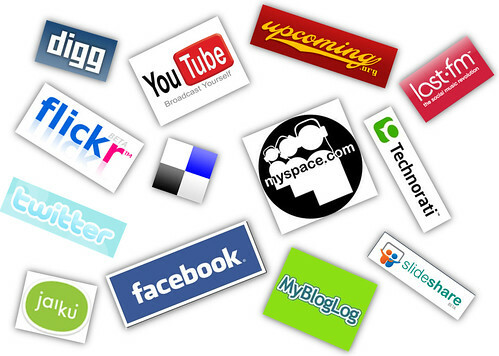 If you haven’t jumped in the game yet with myspace, twitter, facebook, linkedin, you tube, plurk, or another of the hundreds of social networking sites… you need to. Not only do these vehicles of communication increase the quantity of interactions, but according to the study those with a greater quantity of communication in relationships did not lose out and actually had a greater depth and quality in their relationships. There is incredible power in this with greater relationships, marketing, knowledge, and reach through social networking. I’m happy to say that we (Fit Launch & Fit Bodies) are attempting to not be too much behind the curve on this very subject. Change is in the wind on the fitness pro travel website. We’ve been discussing several additions, upgrades, and changes to the site over the past couple months. Some we have integrated in the backend that you may not readily notice (ie. photo’s are now automatically resized for you) others (addition of travel insurance options, changes to faq information) are more easily noticed. We have many more items under consideration and several more in the works. We want this site to be useful to you in multiple ways while still maintaining the core working vacation opportunities. We certainly don’t have the financial resources of the big social networking sites listed above, but I believe we can learn from their’s and others businesses to make this site useful to each of us in many ways.